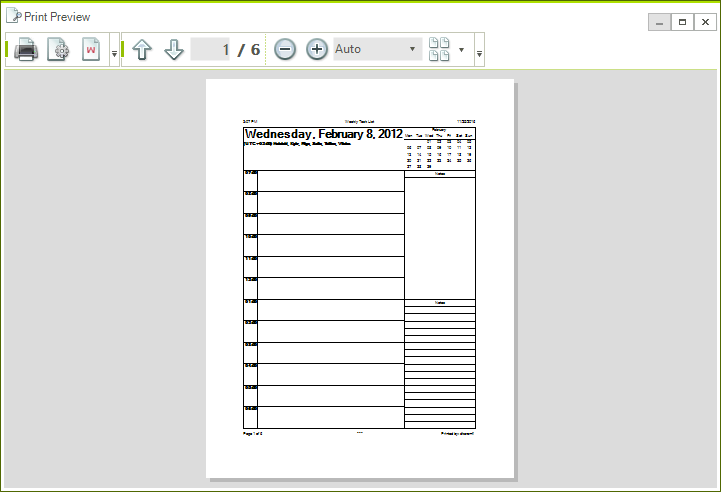 By using RadPrintPreviewDialog you can preview how the RadPrintDocument will appear when printed. RadPrintPreviewDialog allows zooming and navigating through the pages via the menu and the tool strips. In addition, the end user can use mouse drag to scroll through the current view and Ctrl + Mouse Wheel to zoom in or out. The RadPrintPreviewDialog can also be used for editing the print document. When the Print Settings button is clicked, RadPrintSettingsDialog is opened, allowing the end user to edit a variety of settings related to the printed object. Also, when the Watermark button is clicked, the end user can place a watermark on some of the pages by using the WatermarkSettingsDialog. The RadPrintPreviewDialog is also used at design time to edit and serialize the properties of RadPrintDocument. For more information refer to theRadPrintDocument article.